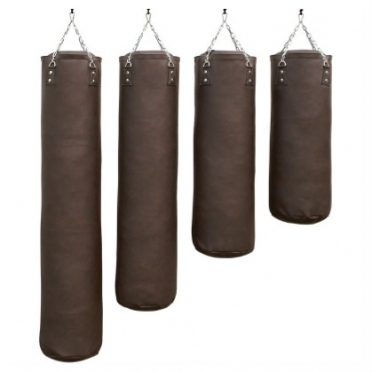 In the Netherlands Sportief BV produces more than 25 years punching bags of the best quality for almost all brands in Europe. Sportief strives for the best material for the fightsport around the world and under every conditions! The quality of raw materials, the production and the final product are constantly checked so you can enjoy of a top quality products. We customize the products on a way that the fighter wants, so you can enjoy of the best possible image of your products. 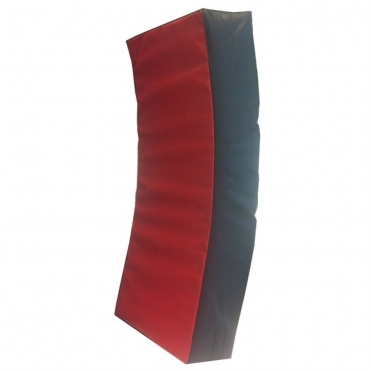 This kicking/punching pad is made of highly durable bisonyl (comparing with truck sail), and it is filled with foam that kicks and punches reduces to a minimum.Throught curved position of the pad, you can easily absorb the kicks and punches.The kicking pad has four handles on the backside so you can hold the pad on the best way.Ideal for the gym, but also for use at home. 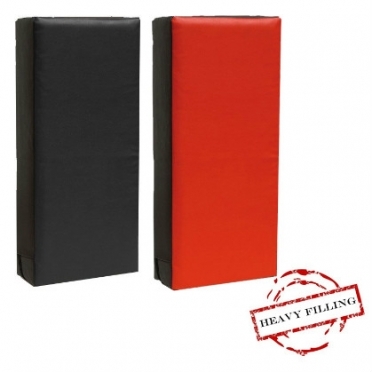 This kicking/punching pad is made of highly durable bisonyl (comparing with truck sail).This punching pad is filled with extra a extar heavy foam filling that kicks and punches reduces to a minimum.The kicking pad has four handles on the backside so you can hold the pad on the best way.Ideal for the gym, but also for use at home. 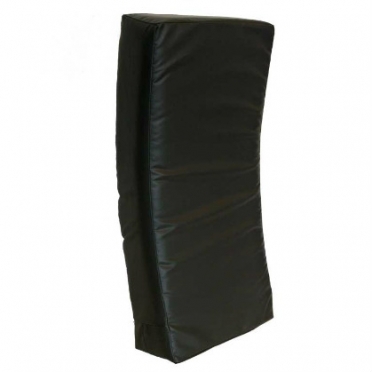 This kicking pad is for the heavy ones, and for heavy trainings. 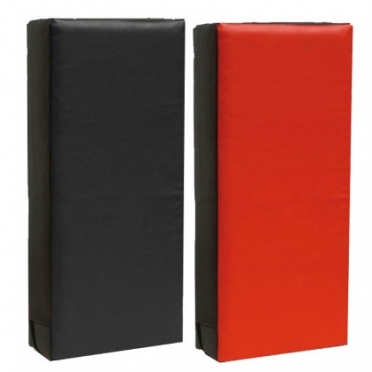 This kicking/punching pad is made of highly durable bisonyl (comparing with truck sail).This punching pad is filled with foam that kicks and punches reduces to a minimum.The kicking pad has four handles on the backside so you can hold the pad on the best way.Ideal for the gym, but also for use at home. Ideal to train the uppercut on the angle. 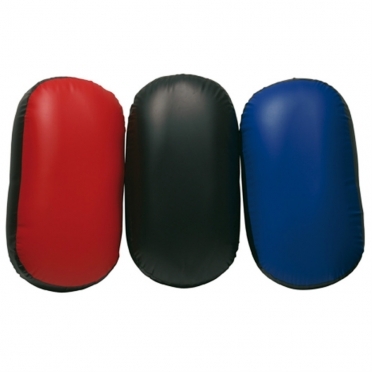 This kicking pad is made of highly durable bisonyl with a PU outside so it is extremely sturdy.This pad is filled with extra thick foam that kicks and punches reduces to a minimum.These pad are suitable for the heaviest use, hardest workouts by heavyweights.The kicking pad is ideal to train kicks and punches with your buddy. 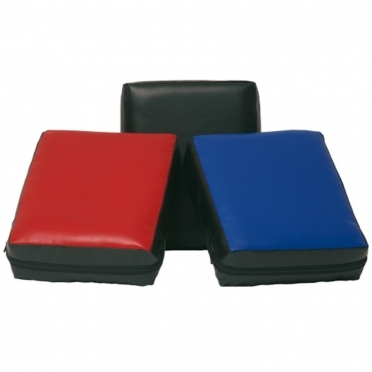 This kicking pad is made of highly durable bisonyl with a PU outside so it is extremely sturdy.This pad is filled with foam that kicks and punches reduces to a minimum.These pads are suitable for all long trainings, but also for short sparrings.The kicking pad is ideal to train kicks and punches with your buddy. This makiwara is designed to attach on a wall. 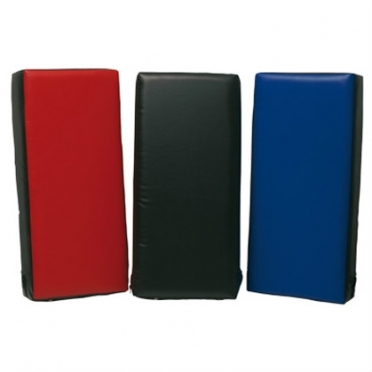 You can train punches in combinations of fast and precise.The sloping sides of this pad has several interfaces, so you are able to train different punches.The makiwara is made of a very sturdy PU, this material is very durable and user friendly.The pad is filled with foam that reduces the punches to a minimum so your can train really confortable. 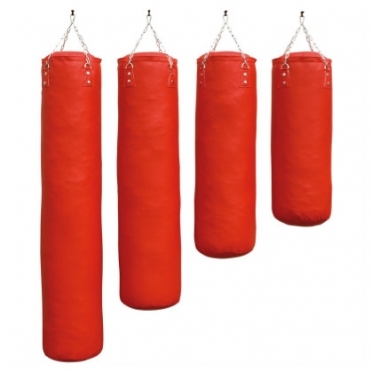 Available to train at home with this pad but also in the boxing club. 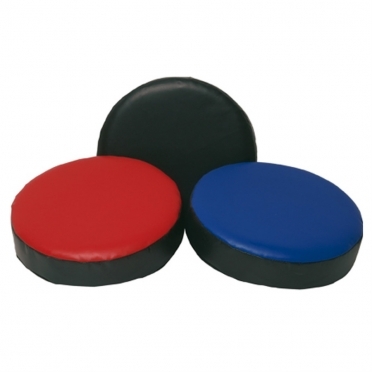 This kicking pad, 'airshield', is made of high quality bisonyl, produced by a very reputable company.This pad is filled with a pneumatic tire. Because the pad has a filling of 'air', he is very light.The punching pad is very easy to use but absorbs also the punches through this air filling.The air filling gives many positive aspects and is very comfortable. All seams are stitched several times to avoid tearing. 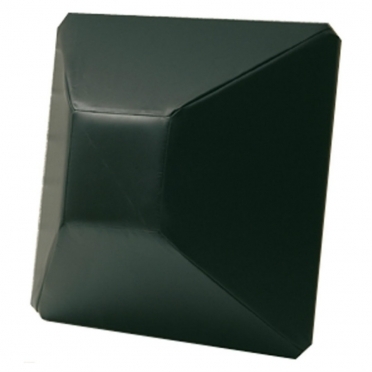 This hand pad is made of highly durable bisonyl (comparing with truck sail).This pad is filled with foam that kicks and punches reduces to a minimum.The hand pad has two handles on the backside so you can hold the pad on the best way.Ideal for the gym, but also for use at home. 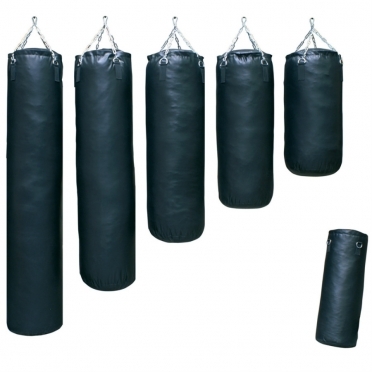 The boxing bag 'classic' is made of highly durable bisonyl, which is very strong and suitable for everyone, for in the gym and at home. The bags are all extra heavy duty stitched to prevent tearing. The bags are filled with newly purchased fabric scrabs, in order to prevent mold and moisture. 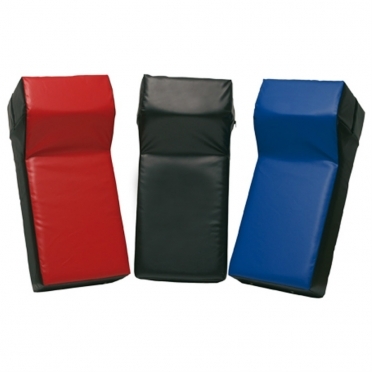 The textile padding ensures a perfect reduce of your kicks and punchings. 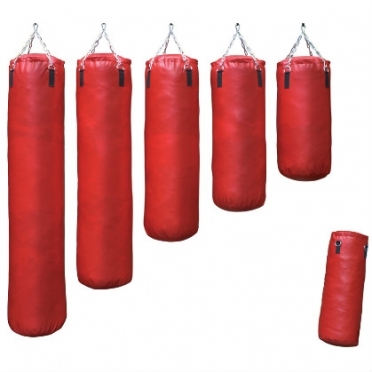 The boxing bag 'classic' is made of highly durable bisonyl, which is very strong and suitable for everyone, for in the gym and at home.The bags are all extra heavy duty stitched to prevent tearing. The bags are filled with newly purchased fabric scrabs, in order to prevent mold and moisture. The textile padding ensures a perfect reduce of your kicks and punchings. The boxing bag 'luxury' is made of two layers which consist of a pvc coated canvas layer (inside) and a synthic leather outside which is very strong. The bags are all extra heavy duty stitched to prevent tearing. The bags are all extra heavy duty stitched to prevent tearing. The bags are all extra heavy duty stitched to prevent tearing. The bags are filled with newly purchased fabric scrabs, in order to prevent mold and moisture. The textile padding ensures a perfect reduce of your kicks and punchings. The boxing bag 'luxury' is made of two layers which consist of a pvc coated canvas layer (inside) and a synthic leather outside which is very strong. The bags are all extra heavy duty stitched to prevent tearing. The bags are all extra heavy duty stitched to prevent tearing.The bags are all extra heavy duty stitched to prevent tearing. The bags are filled with newly purchased fabric scrabs, in order to prevent mold and moisture. The textile padding ensures a perfect reduce of your kicks and punchings. The boxing bag 'luxury' is made of two layers which consist of a pvc coated canvas layer (inside) and a synthic leather outside which is very strong. The bags are all extra heavy duty stitched to prevent tearing.The bags are all extra heavy duty stitched to prevent tearing. The bags are filled with newly purchased fabric scrabs, in order to prevent mold and moisture. The textile padding ensures a perfect reduce of your kicks and punchings. 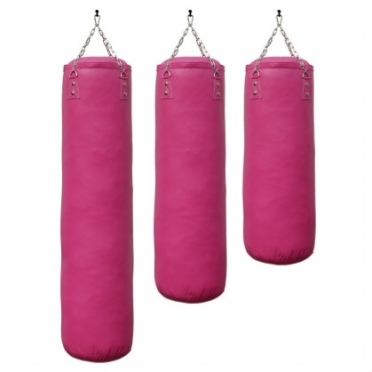 The boxing bag 'luxury' is made of highly durable material whicih consist of three layers. The inside consist of a pvc coatet canvas layer which is very strong, the two outside layers consist of a synthic leather layer which is reinforced with polyurethane (PU). The bags are all extra heavy duty stitched to prevent tearing. The bags are filled with newly purchased fabric scrabs, in order to prevent mold and moisture. This boxing bag is the best one in his series, the empy weight (without filling) is 4 kg! The rings for the chain are made of seven strong layers. The textile padding ensures a perfect reduce of your kicks and punchings.